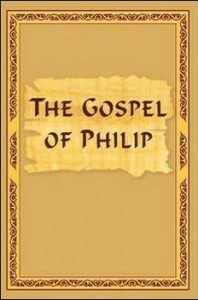 The Gospel of by Philip by Vladimir Antonov was first published in 2008. The book presents a full and competent translation of the Gospel written by apostle Philip — a personal Disciple of Jesus Christ, who attained Divinity thanks to help from Jesus. Although this gospel may at first appear similar to the Gospel of Thomas, it is not a sayings gospel, but a collection of Gnostic teachings and reflections, a “gnostic anthology“, as Marvin Meyer and Esther A. De Boer have called it. An Egyptian peasant rediscovered The Gospel of by Philip by accident, buried in a cave near Nag Hammadi, in 1945. This translation is accompanied by clarifying commentaries. In the Gospel, Philip put the emphasis on the methodological aspect of spiritual work. A collection of gnostic teachings and reflections, a “gnostic anthology“. I am looking for the four cannonical gospels, that is mentioned in wikipedia. Go to any library and ask for the Holy Bible. The four canonical Gospels are in the Bible. Does anyone know where one can find the Gospel of Philip in the original Coptic? Thank you! I am very thankful for your extreme kindness passing this on to us.